Lake Allatoona is one of North Georgia's best kept secrets located 40 minutes north of downtown Atlanta. 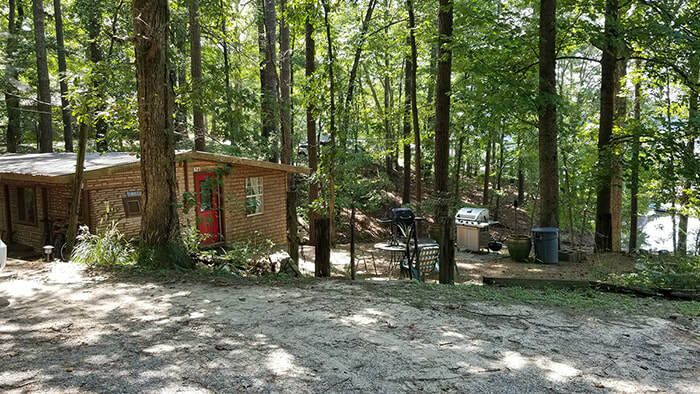 Come up for a weekend and rent a cabin overlooking the lake at either Holiday Harbor Marina or Allatoona Landing Marina. Boat rentals are available at Holiday Harbor Marina and Park Marina - Park Marina has jet ski rentals also. You may take a virtual tour by boat of each marina as well as read or post comments. You can find out about all marinas along with the lake map by clicking the "Marina" tab from the drop down list. We have a full listing of all the campgrounds that surround the lake along with their contact and reservation links. Each campground has their own rules, amenities and for your convenience we offer a full list of the details in our "Camping" section. Which ever campground you choose you can be guaranteed to have a beautiful campsite. Allatoona Lake has several yacht clubs. Two Daze Pleasure Yacht Club is located at Holiday Harbor Marina and Harbor Town Yacht Club is located in Harbor Town Marina - see the lake maps for exact locations. Allatoona Yacht Club was established in 1952 and is located in Red Top Mountain State Park. See the "Restaurant" tab to locate lakeside dining for Lake Allatoona. 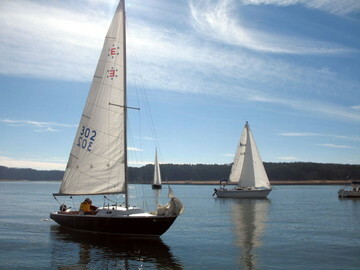 South Winds Sailing Club is based in Harbor Town Marina. Atlanta Yacht Club in on the south shores of Allatoona, by water they are south of the Allatoona Dam and west of Galts Ferry Landing. For more information and website links please visit the "Clubs" tab under Allatoona Information (above). $68,000 or BEST OFFER! Call 404-536-5448 for more info. Lake Allatoona is not just for boating! There is an abundance of hiking trails around Allatoona. Red Top Mountain State Park offers ongoing guided tours on several of their hiking trails (check our monthly calendar). If tours are not your thing there are hundreds of miles to hike. Some of these beautiful trails cross different battlefields of the Civil War with historic markers. Lake Allatoona Biking - coming soon! Lake Allatoona Boat Rentals and Boat Clubs - coming soon! Lake Allatoona has many campgrounds offering various types of camping facilities and amenities. Most of the campgrounds are managed by the U.S. Army Corp of Engineers, others are located inside several of the marinas around the lake. Our "Camping" section above will provide you with all the information to help you choose a campground as well as website links, phone numbers and a link to make your reservations. Lake Allatoona has eight marinas: Allatoona Landing Marina, Glade Marina, Harbor Town, Holiday Harbor, Little River Marina, Park Marina, Victoria Harbor and Wilderness Camp. Each marina has private boat launch(s) and boat docks that will accommodate the largest houseboats. Some of the marinas have boat sales on site along with boat and jet ski repair. At our "Marina" tab above you will find complete details about each one's amenities with phone numbers, website links and location lake maps. If you are looking for a lake cabin or boat to purchase please see our classified ad section above. Boating is more fun when you have your boat docked at a marina. South Winds Sailing Club is based in Harbor Town Marina. Atlanta Yacht Club in on the south shores of Allatoona, by water they are south of the Allatoona Dam and west of Galts Ferry Landing. For more information and website links please visit the "Club and Organization" tab above.